There can be no gender equality if it is that the concerns and interests of men and boys are not addressed. Its refreshing to finally see an international conference designed to engage the males of the specie in arriving at working solutions as both sexes work towards gender equality and parity. We’d love to have you! It is a bit early to tell, but we intend to have speakers from around the globe! If you know others who might be interested, please share this information with them. The best part of the conference is that it brings academics and activists together, hopefully to inspire better research and better activism. Somehow I don’t feel it is gender equality. There are topics affecting both men and women but it seems that this conference still handles those issues as “gendered” problems. – Supporting women’s reproductive health and rights. What about men? In a place where there is abortion and a woman can choose, a father cannot choose financial abortion and in some countries not even a paternity test to avoid paternity fraud. – New approaches for work with women who use violence. Having more women than men taking care of children and beating them… I’d say that it should be a nice topic. – Best practices for campus programs for preventing sexual violence. I hope women can learn to stop being sexual violent too. Or are we ignoring sexual violence in women? – Understanding and challenging domestic abuse. Again domestic violence is not gendered. – Preventing gang rapes and mass-murders by boys and men. Correlation doesn’t mean causation, but it is nice to play with it. Do you see the double standard? Do you see the bigotry? It’s great to see people thinking about these things. We hope that this conference contributes to the broad project of gender equality in two significant ways. 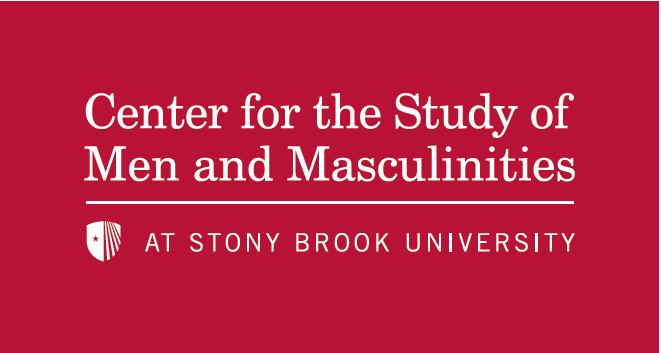 First, by addressing the toxic elements of conventional masculinities (this is clearly reflected in some of the issues–for example, violence against women, as well as men’s violence against other men…men are statistically much more likely to be involved as perpetrators of violent acts). Second, by helping elaborate, from a feminist perspective, how to improve men’s lives. For example, dealing with women’s reproductive rights also means encouraging men’s meaningful participation in both conception and procreation, not to mention parenting. So no double standards…jsut dealing with the gendered elements of our lives, trying to improve them at individual, interactional, and intitutional levels. So if this conference actually concerned gender equality in the area of reproductive rights, it would have to address not just legal maternal surrender, but also legal *paternal* surrender. I agree that men are statistically more likely to come as the perpetrators of violence (though not aggression). That said, they are also statistically more likely to come as the victims of violence (this is an understatement). That men have gotten emphasized as the perpetrators instead of the as the victims shows that this conference almost surely will not have a focus on victims when discussing violence. This is just the initial call to get the word out. We’ll have more details so please keep checking back.